Anyone who has (or used to have) a whole bunch of stuff around their house is probably familiar with Marie Kondo and her KonMari Method for elegant decluttering. Basically, the idea is that you group all of your items together by whatever category they may fit in, and then get rid of everything that doesn’t “spark joy”—a criteria that is both vague and very specific, ensuring that you hold on to as few things as possible. 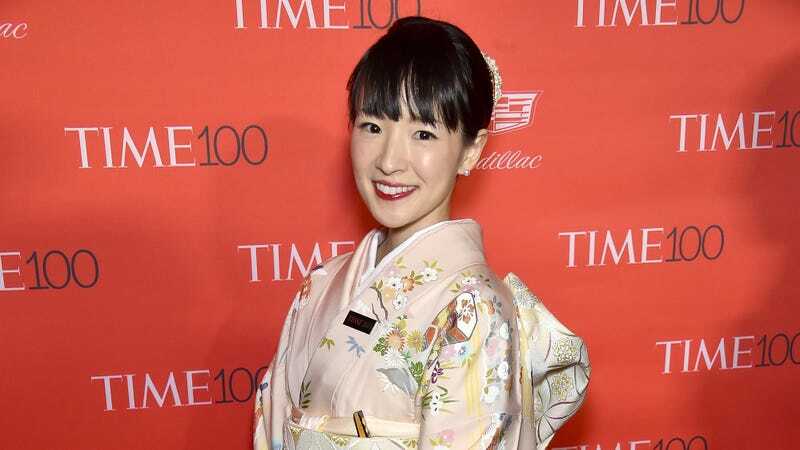 According to Vulture, Netflix has teamed up with Kondo to develop an untitled unscripted series in which she’ll help people who are “at a crossroads” in their lives, which she’ll most likely accomplish by showing them how to get exquisitely organized. The show will be eight episodes long, but that’s unfortunately all we know about this project. Meanwhile, Netflix is probably hoping that very few people take Kondo’s lessons to heart and begin examining whether or not a streaming service that no longer has Bob’s Burger or American Dad can really spark joy.